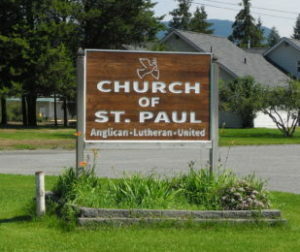 The Church of St Paul is a Covenanted Congregation of Anglicans, Uniteds, and Lutherans in Barriere. In 2008, members of the Anglican Church of the Redeemer, the Barriere United Church congregation, and people in the Barriere area connected to the Evangelical Lutheran Church in Canada began worshipping together and exploring what it might mean to become an Ecumenical Shared Ministry. May 23, 2010 saw the coming together of the three denominations to sign a Memorandum of Understanding. The name stands for Serving Together as a Parish of Anglicans, Uniteds, and Lutherans. This venture has been undertaken with great joy and blessings from all three denominations! Sunday service begins at 11:00 am. The Eucharist or Communion is celebrated each Sunday excepting those when no ordained minister is present. A fellowship time follows the service. On the first Sunday of the month, the fellowship time is extended with a potluck lunch. 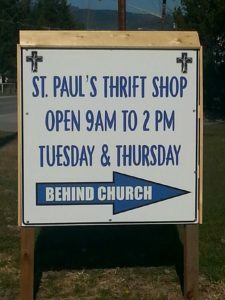 The Church Women’s group runs a Thrift Shop in buildings connected to the back of the church. Gently-used second hand clothing is available for reasonable prices. Also, there is a second room that sells Flea Market type materials (home furnishings and such). If you’re looking for reasonably priced items, come and check out the Thrift Store. Open Tuesday and Thursday from 9 am – 2 pm. 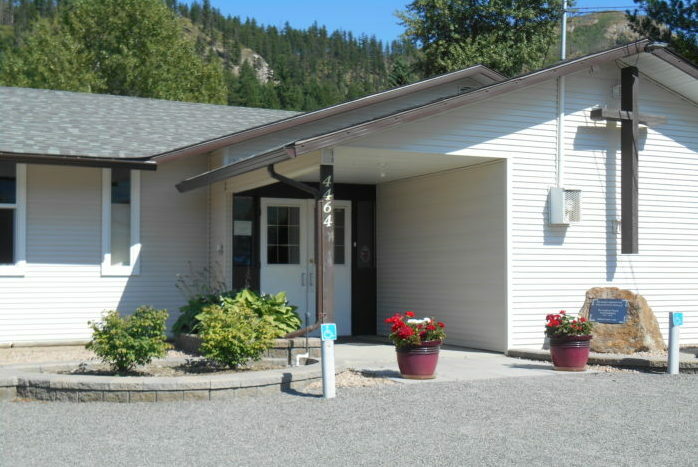 As well, The Annex Thrift Shop is located in downtown Barriere and is open Tuesday to Saturday from 10:00 am – 4 pm. The congregation of the Church of St Paul created a congregational goal in January of 2011. This goal is to deepen our relationship with God through deepening our relationships with each other. We’re not exactly sure how this will play out in our relationship here at the Church of St Paul, but it is what we strive toward!